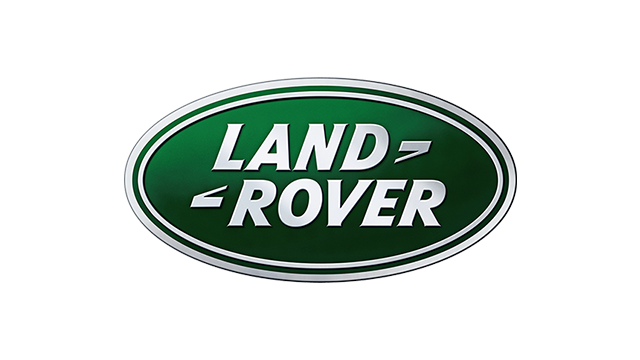 The Land Rover Defender is one of the most rugged and versatile vehicles in the history of rugged and versatile things. 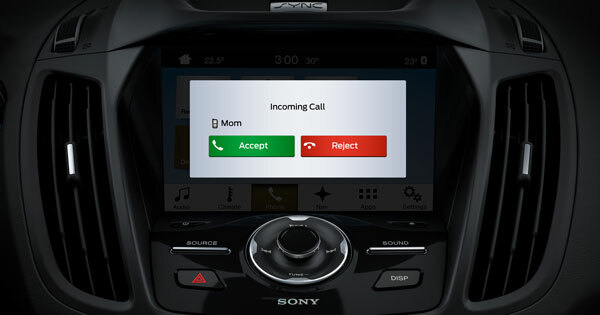 Sadly, it's no longer in production—and your chances of owning one dwindle with every passing year it stays that way. 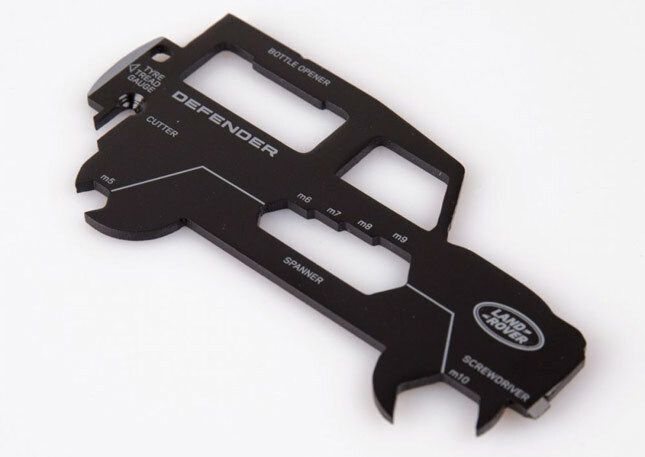 Of course, if you can do without the actual driving parts of owning a Defender (or the vehicle for that matter), maybe you'll be willing to settle for this neat little multitool the carmaker is selling in its online store. 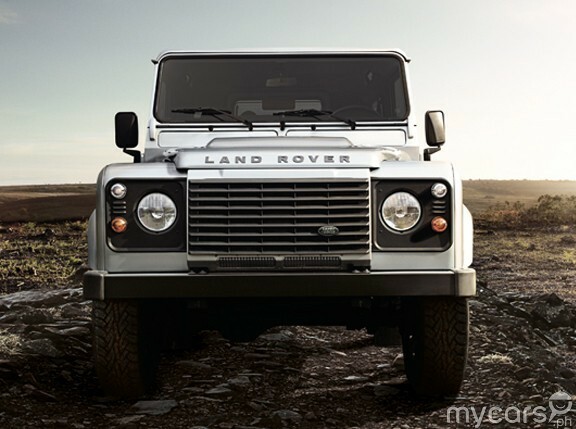 It's rugged, versatile, and yes, it's a Defender…or at least it's the shape of one! 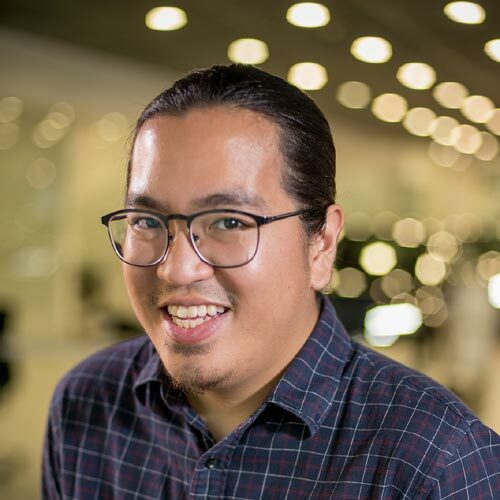 The product is about the size of a credit card, the company says, meaning it should fit snuggly inside your average wallet. 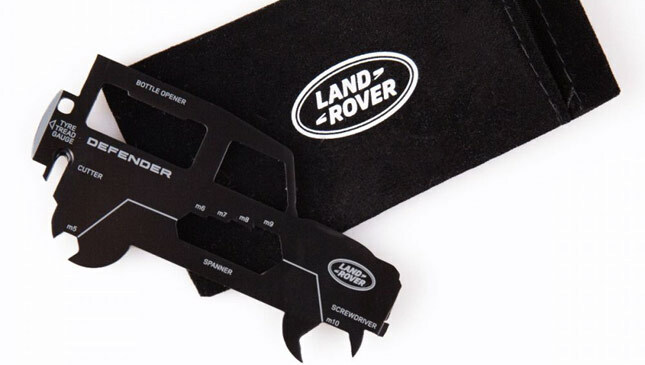 It's capable of serving as 11 different tools, including a handy tire tread gauge for keeping your rubber in check, and spanners to work with bolts if needed. 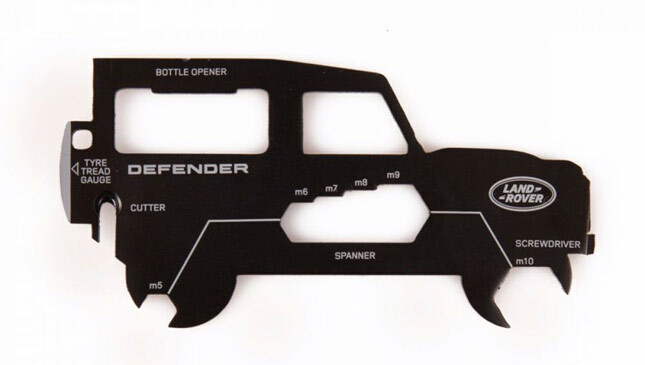 It can also open bottles in case you ever find yourself hopelessly stuck in the mud; you know, so you can sit back and pop open a cold one while you await rescue from someone who actually owns a Defender. The cost? More or less P900, but that's without shipping yet. Want one?